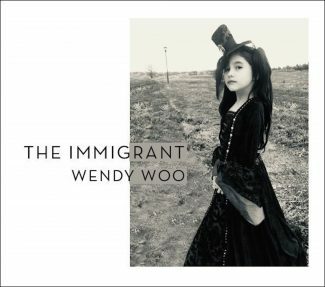 “The Immigrant” is Wendy Woo’s 12th album. “The Immigrant” is the perfect title for Boulder-based musician Wendy Woo’s latest album. Not only was her father an immigrant (coming to the U.S. from the Philippines), but she also touches on the idea of home throughout the record, a theme strong in the lives of those moving from one place to another. The album as a whole shows a wide range of musical styles that Woo is able to practice, making her art that much more rich, even in the simplest of songs. The album kicks off with the title track, a melancholy and sweet tribute to her father. Lyrics like “I’ll be home soon” and “work just another day/it will be wonderful” nearly break the heart with sympathy — empathy for many in the U.S. The song has a Carole King-softness to it, but it brings in a signature style that isn’t matched by many mainstream artists. “Dust off the Piano” is another standout, flexing jazz muscles while incorporating a southern rock sass that leaves feet tapping and a smirk on the face. We also hear Woo’s musical prowess on “Keep on Livin’” which is completely instrumental (featuring a strong, staccato guitar and a sweeping and somber violin) but doesn’t need lyrics to tell a story — the mark of a perfect instrumental. “The Weather” proves that modern trends aren’t lost on Woo, with her vocals and lyrics being reminiscent of modern indie artists (think Sufjan Stevens), and in some moments, even R&B artists like H.E.R. “Plane to China” is a story-telling ballad in the truest sense of the word, with rich piano and violins assisting to strengthen the tear-jerker. “Plane to China,” as well as “Birthday Phone Call” set Woo apart from other independent songwriters in the way she captures a single moment and its significance that is seen rarely in music today — perhaps not since Stevie Nicks. Speaking of Nicks, Woo covers “Landslide” on the record, a bold but completely justified move that shows just how strong of an appreciation Woo really has for the legendary songwriter. Not everything on the album is pillow soft, however. 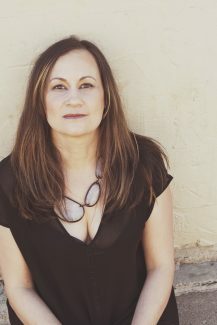 “Insatiable” and “Vic’s Coffee House” use jazz and even rock-influenced sounds to tell stories through an Alanis Morissette- or Meredith Brooks-style attitude. “This Little Town” concludes the album in a perfect full-circle moment that ties the theme of home together. The song talks about friends, past loves (including one that she can’t seem to get over) and a sense of place — all of which is addressed throughout the album, and perfectly applicable to someone looking to find a true home in a place where those in similar predicaments are sometimes ignored. “The Immigrant” can be streamed on Spotify or downloaded from iTunes for $9.90. Arts & Entertainment Editor Nate Day can be reached at nday@vaildaily.com or 970-748-2932.